Vail Brown is Vice President, Global Business Development & Marketing, with Smith Travel Research, and recently presented a comprehensive report on the hotel industry performance at the Phoenix Lodging Conference, entitled ” Statistics, Trends and Projections for 2013 & Beyond.” See HotelLawyer.com at for the full presentation or click here. All Smith Travel presentations can always be found at www.hotelnewsnow.com. Click on “Hotel Data Presentations”. We appreciate their consent for us to post the presentation on HotelLawyer.com as well. We caught up with Vail after the Phoenix Lodging Conference and asked her what she thought were the most notable developments at this moment. She gave us three key observations from STR’s standpoint as it relates to the U.S. hotel performance data through year to date through August 2012. Vail R. Brown, CMHS, is Vice President of Global Business Development & Marketing for STR (Smith Travel Research, Inc), the leading authority on hotel industry performance trends. STR provides clients-including hotel operators, developers, financiers, analysts and suppliers to the hotel industry-access to hotel research with regular and custom reports. 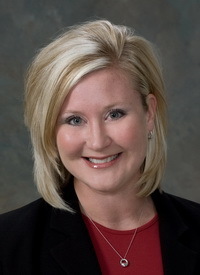 Mrs. Brown is responsible for the overall coordination, functional management and leadership of the business development and marketing departments for the STR Family of Companies – STR, STR Global, STR Analytics, HotelNewsNow.com, and RRC Associates and the Hotel Data Conference. She is often featured as a guest speaker at international, national, regional and state conferences. Mrs. Brown currently is the Chair for the AH&LA Women In Lodging (WIL) Council and is the Chair for the HSMAI Foundation Board of Directors. Vail Brown, CMHS, Vice President, STR can be reached at +1 (615) 824 8664 x3368 or vail@str.com.